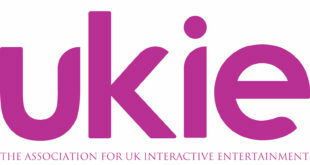 Ukie has announced 10 new board members and two new initiatives at its AGM at EGX. The new additions means that 25 per cent of the board of directors are women, a first for the body. Ukie chairman Andy Payne commented: It is a huge honour to lead such a talented, diverse and creative board at Ukie. Each year competition for places increases and our democratic process has seen more people putting themselves forward for election and more members voting this year than ever before. Ukie also announced two major new projects: the Digital Schoolhouse programme and the Nesta Games Cluster Map. The programme, funded by the Mayor of London’s Schools Excellence Fund (LSEF), will aim to establish the new computing curriculum in schools and develop teaching of the subject across London. Digital Schoolhouse, in collaboration with education association Computing at School, has recruited 10 London secondary schools to grow local networks of primary teachers in order to teach computing creatively. By 2015 the project aims to have worked with at least 100 primary schools and reached thousands of children. Ukie has expressed its hope to expand the project nationwide over the next few years. The second initiative announced was Ukie’s partnership with Nesta. The partnership will produce a games industry cluster map, using Big Data techniques to understand the size and location of the modern games and interactive entertainment industry across the UK. Nesta stated that it hopes the map will become a key tool for investors and policy makers to understand patterns of growth. Dr Jo Twist, Ukie CEO, said: I am really pleased with our new board of directors, and I very much look forward to working with them. There is lot we need and can achieve together as a sector, with some policy support where required. 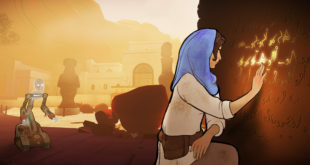 We need to tell the story of who and where we are through better data, and we need to ensure we are making games central to an inspiring new computing curriculum.